We are at 2171 Pine Ridge Rd, Suite E, Naples FL 34109. 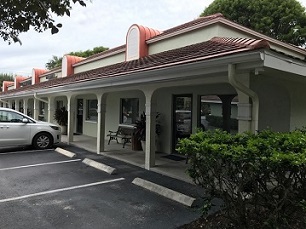 We are on the corner of Pine Ridge Rd and Naples Blvd, in the same building as Animalife Veterinary Clinic. We are on the same side (North side) of Pine Ridge as Home Depot and AutoZone; however, on the west side of Naples Blvd. Chiropractic Neurology Services and Dr. Anthony Inglese are in Suite E which has Choice Medical Center listed on the door. Take I-75 exit 107 toward Naples/Golden Gate. Turn onto Pine Ridge Rd (signs for Naples). Travel west for approximately 2.3 miles then take a right onto Naples Blvd, then make a U-turn and travel back towards Pine Ridge and turn into the parking lot on the right just before reaching the traffic light. Our office is in the same building as Animalife Veterinary Clinic; however, Suite E which is the last office on the right when facing the building. (The correct office door has Choice Medical Center Center and Anthony Inglese,D.C. listed on it). Turn East onto Pine Ridge from Tamiami Trail, travel approximately 1.9 miles and then make a left onto Naples Blvd. Once on Naples Blvd, make a U-turn and travel back towards Pine Ridge and turn into the parking lot on the right just before reaching the traffic light. Our office is in the same building as Animalife Veterinary Clinic; however, Suite E which is the last office on the right when facing the building. (The correct office door has Choice Medical Center Center and Anthony Inglese, D.C. listed on it). Dr. Anthony Inglese is a National Registry Certified Medical Examiner providing the CDL physical exam for drivers. Originally from the Buffalo, New York area, he graduated with a Bachelor of Arts degree majoring in Biology from Buffalo State College in 1997. His graduate studies then began at New York Chiropractic College, Seneca Falls, New York where he graduated with his Doctor of Chiropractic degree in 2003 and subsequently became licensed to practice chiropractic in the State of New York. 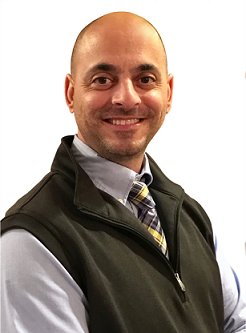 In 2003 he opened his chiropractic practice in the Buffalo, New York region providing conservative care to patients with neuromusculoskeletal conditions in a managed care based practice along with performing electrodiagnostic studies consisting of needle EMG/NCV for other healthcare providers. In 2006 upon passing the Florida Board of Chiropractic Medicine State Licensing Exam, Dr. Inglese moved to the Naples, Florida area where he has been practicing ever since. Dr. Inglese was in private practice in the Naples area from 2006-2009 when in July of 2009 he became employed as a chiropractor with Choice Medical Centers which has 5 locations across Florida. Dr. Inglese has been treating patient's with musculoskeletal injuries at Choice Medical Center for 8 years. Choice Medical Center is a multidisciplinary, AHCA and Joint Commission accredited facility that manages musculoskeletal injuries. His post graduate education consisted of courses in neurology and electrodiagnosis through programs/courses with New York Chiropractic College, Northwestern Health Sciences University and Palmer Chiropractic College. The post-graduate education in neurology and electrodiagnosis along with passing the board examinations with the respective specialty boards has led to being granted Diplomate of the International Board of Chiropractic Neurology, Diplomate of the International Board of Electrodiagnosis. In 2016 he was granted the distinction, Fellow of the International Academy of Chiropractic Neurology. In 2017, education began in occupational health by completing a DOT Physicals for the National Registry of Certified Medical Examiners course through Northwestern Health Science University. Dr. Inglese then passed the Medical Examiner Certification Test and became a Certified Medical Examiner on the National Registry of Certified Medical Examiners. Dr. Inglese is also accredited by TeamCME as having successfully completed the DOT Urine Specimen Collector Qualification Training and Proficiency Demonstration in Accordance with 49 CFR Part 40.33. DOT Physical examinations, Non-DOT & DOT Drug & Alcohol Testing along with on-site EMG/NCV testing for other healthcare providers is performed separately and distinct from Choice Medical Center under Anthony Inglese, D.C. D/B/A Chiropractic Neurology Services of Florida PLLC.